Dealing with exotic animals is a rare privilege and gives enormous extra interest to the whole practice. 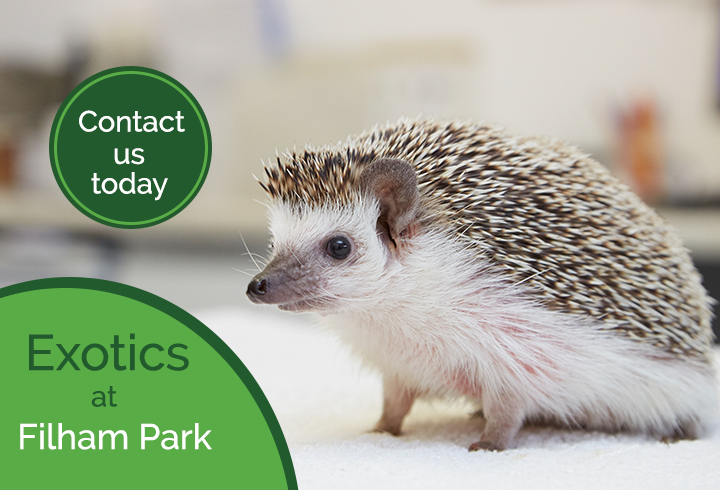 At Filham Park we are very happy and keen to see exotic pets, and will treat them with the same care and attention that we give to all of our other patients. Steve Grills MA VetMB MRCVS over the last few years has developed a considerable interest in reptiles, particularly snakes, and has also treated numerous small mammals such as rabbits and guinea pigs. To improve the exotic animal service at Filham Park, Steve has been involved in ongoing professional development in this area.